It's been a quiet few days on the site this week but we will be making up for that over the next few days with three articles! 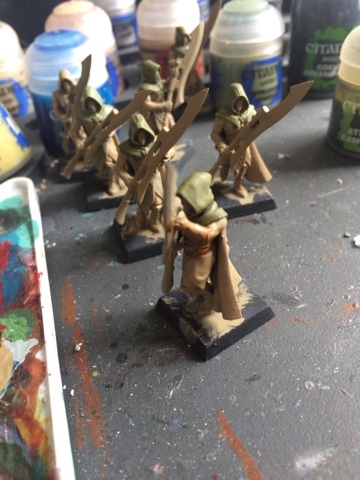 Starting with today's look at some Wildwood Rangers that I have decided to pick up and paint again. Back when wood elves the last wood elves codex came out I picked up a number of models because they looked really cool, but using them on the tabletop was a challenge for a new WFB player. I switched back to vampire counts and the models have been collecting dust ever since. 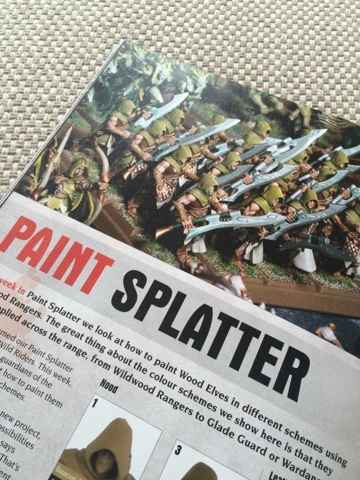 Whilst browsing through an old white dwarf I came across a paint splatter tutorial and I decided to give it a go. The green, earthy look of the Rangers guy more with the theme of the rest of my army than the orange and brown used on the GW packaging. I also thought that it would fit nicely with the new Sylvaneth forces in Age of Sigmar. I really like these step by step painting guides that GW offer as I do find it a challenge to get the paint schemes right for a number of models. Although skeletons are quite easy thankfully. 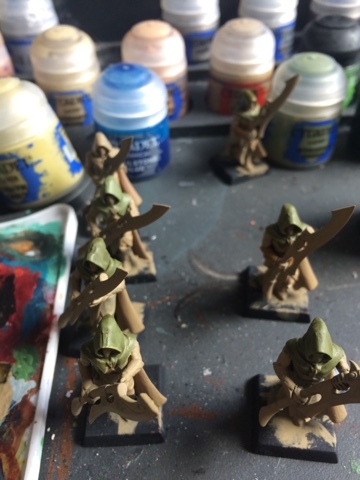 These guys may be no where near finished yet but I am really enjoying picking up the paint brush again. 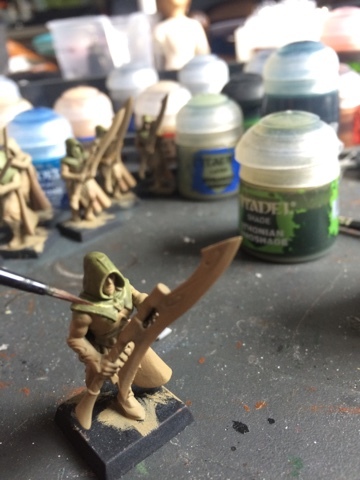 I will post another article once they are completed so that you can see the finished product and hopefully they will live up to the GW scheme I have followed.